In which Patti and Jeane are among the lucky ones to keep their electricity through the massively destructive ice storm that hit Kentucky in late January 2009. We make sure to take good care of the critters who visit our yard, and once the sun comes out, we take a walk through a snowy Tyler Park. January 31st, 2009. 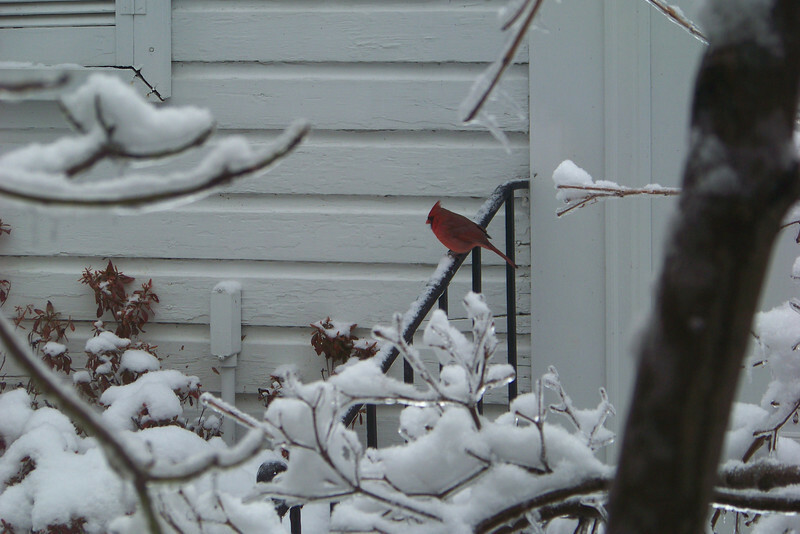 Mr. Cardinal taking in the altered condition of his usual world.